Finding out your dog has a food allergy is tough, but giving him hypoallergenic treats doesn’t have to be. When searching for hypoallergenic dog treats you want to look for those that are highly digestible, and are lactose and glucose free. But what about making them yourself? It might sound overwhelming to you (it did to me!) but the reality is dogs do not need all the extra additives you typically find in their treats. So the ingredients are simple. 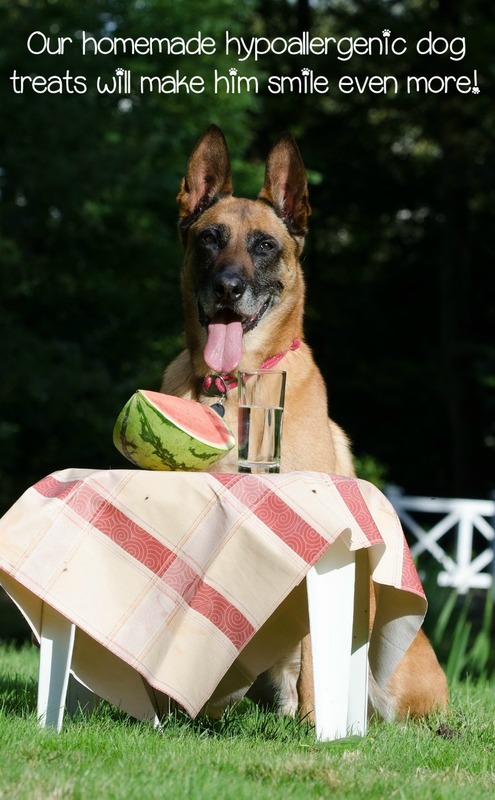 Dogs (like us, we just forget) need food to survive. They seem to forget too, I know my pit bull acts as if she is never fed! Here are a couple quick and easy recipes you can try yourself! Once you have these ingredients mixed to a dough, preheat your oven to 350 degrees. Spray your baking sheet with a non-stick spray. You wouldn’t want your pooch to be able to smell these delicious treats and not be able to get them off the sheet! If you have cookie cutters, you can roll out the dough and make fun shapes. Otherwise you can just drop teaspoon of dough onto the sprayed cookie sheet. In just 15 minutes in the oven, you will have some tasty, crispy, hypoallergenic dog treats! Preheat your oven to 350 degrees. Mix the dry ingredients and then the eggs and pumpkin puree in a separate bowl. Combine the 2 bowls, and mix the water in slowly. Once you have mixed it to a dough, place it between two pieces of parchment paper and, using a rolling pin, roll the dough out to about ¼” in thickness. Once you have the right thickness, remove the dough and rub one side with brown rice flour before cutting it into bite size pieces. Once you have used all the dough, coat a cookie sheet with non-stick spray and bake for 30-45 minutes! Your dog may be wagging his tail and begging at your until they are cooled, but so worth it! If your pooch loves this one, he may also love our Heart-Shaped Cinnamon Pumpkin Dog Treat Recipe or our Pumpkin and Oats Dog Treats. 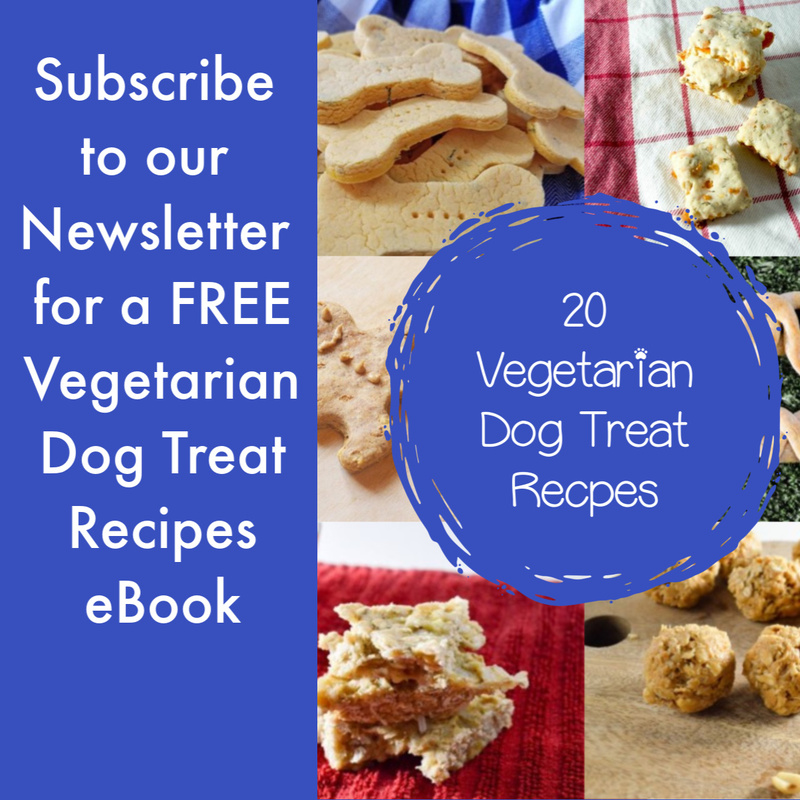 Have you ever tried making your own hypoallergenic dog treats? There are so many recipes out there, these are just a couple. Post below your favorite recipe and share with the rest of us!